There is a particularly intimate relationship I have to some cocktails because they have been personally important experiences for me – if not enlightening experiences – on my way to real cocktail enthusiasm. Most of the time I do mention this in such articles or at least I indicate it during a cocktail presentation here on the blog. And in my article on the Mint Julep I also mentioned the importance of a certain video series which initially had a great influence on me. Chris McMillian’s “New Orleans Best Cocktails” video series is certainly no longer up to date in terms of video quality. But New Orleans Bartender Chris McMillian still provides a wonderful down-to-earth introduction to American cocktail culture, of course with a special focus on his hometown of New Orleans. 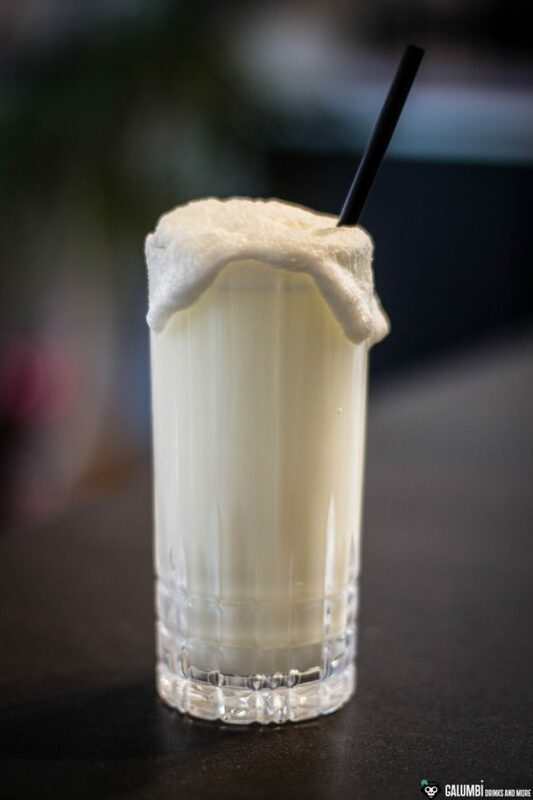 And one of the most typical and at the same time most curious cocktails from this city is undoubtedly the Ramos Gin Fizz. I can still remember how I was both amazed and astonished about how well this drink tastes: “Like drinking a flower” as contemporary friends of the Ramos Gin Fizz used to say. 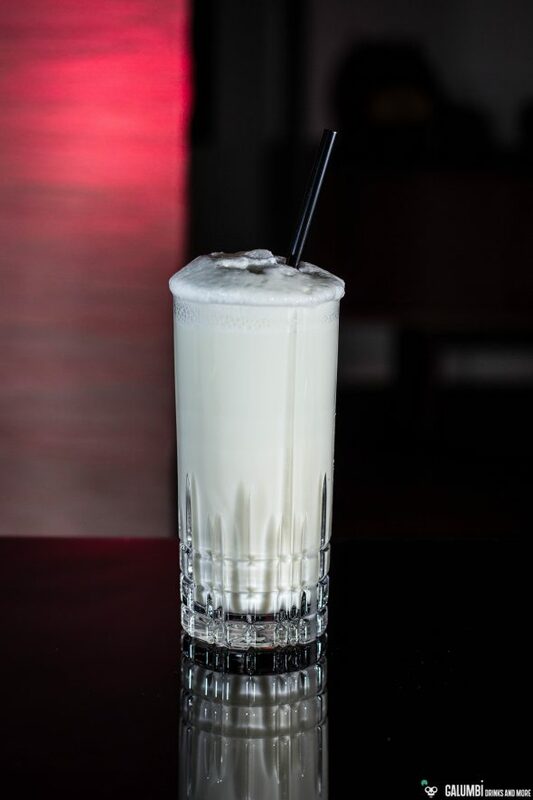 The Ramos Gin Fizz probably dates back to the year of 1888 when it was created for the first time by the eponymous Bartender Henry Ramos in the Imperial Cabinet Saloon in New Orleans. The outstanding quality of this drink got around relatively quickly (even if some critics in later times stated that it would be better not to recommend this drink to anyone since its preparation is such an imposition). 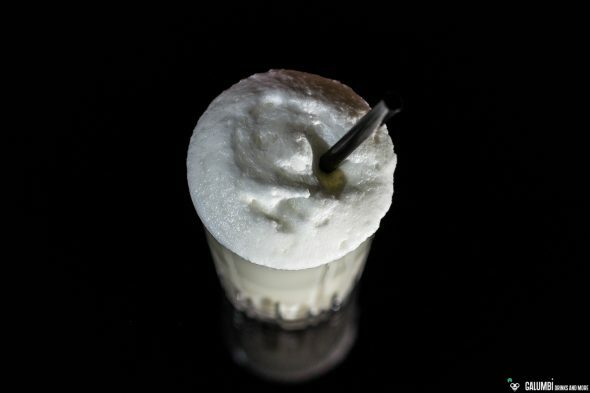 In any case, the Ramos Gin Fizz really came to fame in the Sazerac bar of the Roosevelt Hotel in New Orleans which even acquired the rights for the cocktail some time later (today, of course, everyone can mix a Ramos Gin Fizz, so you don’t have to worry about that). At this point, I don’t want to miss the anecdote about Governor Huey P. Long, who was frustrated that during his frequent journeys to New York the Yankee bartenders did not know the drink or simply were not able to make it properly, so Long decided to have his own New Orleans bartender flown in to teach the bartenders in New York how the drink is really made. But once again back to the beginnings of the cocktail: The Imperial Cabinet Saloon got a serious problem early after the invention of the drink: The original formula of the cocktail calls for a rather unusual shake of twelve minutes length. Whoever tries this with her or his shaker will know why this can be a real problem while facing a crowd of thirsty guests in front of you. This problem ultimately led to the fact that 32 to 35 (sources differ on the exact number) “shaker boys” were responsible for shaking Ramos Gin Fizzes. If you ask me, you should always imagine the idea of ​​a New Orleans saloon in the 1880s with a whole queue of shaking men in suits whenever you enjoy a Ramos Gin Fizz. It definitely enhances the taste. Speaking of taste: The ingredients for the drink are indeed unusual in this composition: gin, lemon and lime juice, an egg white, cream, sugar syrup, orange blossom water, soda water and a few droplets of vanilla extract. The latter ingredient, however, will not be found in many recipes since it is a subject of controversy. When the Ramos Gin Fizz was prepared in the Imperial Cabinet Saloon (and later in the Roosevelt Hotel), the recipe was anything but public. But even after the people became aware of the essential ingredients, there were rumors about a secret ingredient in the original recipe. This is said to have been some vanilla extract (a few drops of it). Many people deny this, but Chris McMillian used vanilla extract in his Ramos Gin Fizz video, which is why I was curious whether the drink would taste better with or without vanilla extract. And how shall I put it? Chris is right! It perfectly fits to the cocktail without overwhelming the other flavors in any way. Vanilla extract can be easily made at home (I like to make mine with rum). 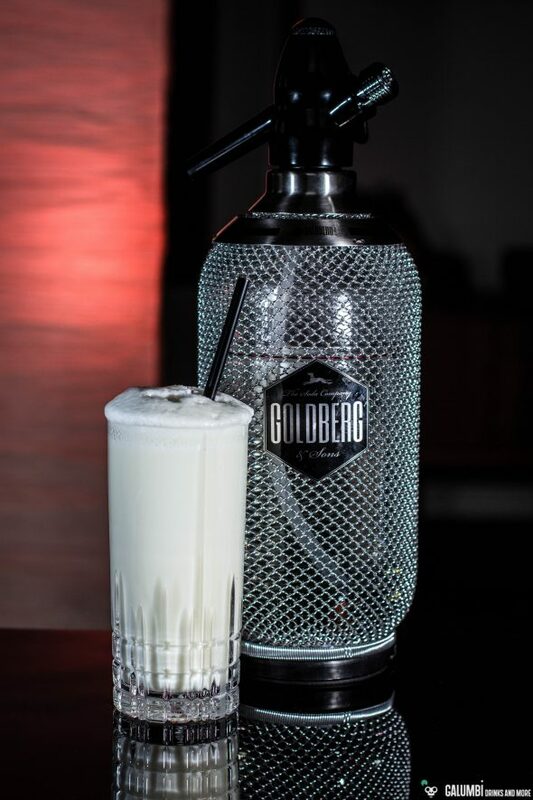 And even if some sources say otherwise: the Ramos Gin Fizz belongs into a longdrink or highball glass (without any ice cubes!). A little confession about the preparation: I do shake the Ramos Gin Fizz only for 2 minutes. It still tastes great. However, I also substitute the dry shake by using a small milk frother in the shaker before I add the ice cubes. 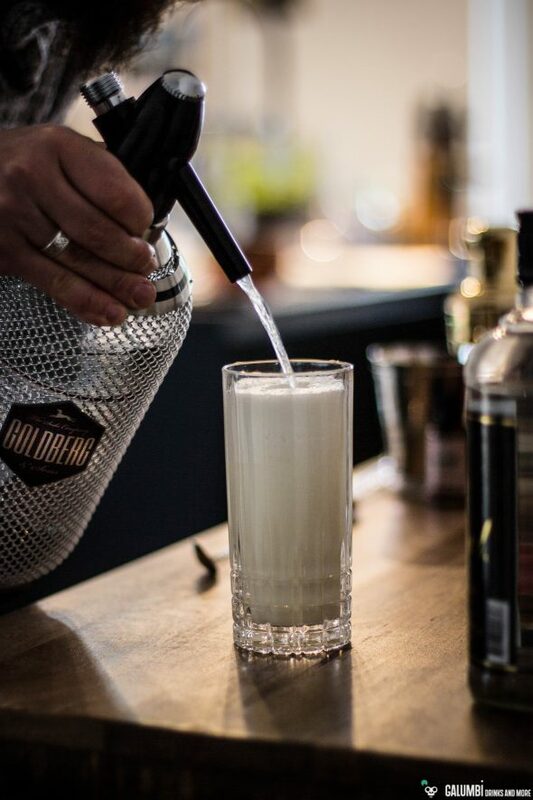 And yet a complementary reference for a really perfect (as I think) Ramos Gin Fizz: even if it might seem petty, it makes a difference whether you use soda from the bottle, simple mineral water or soda from a siphon. The soda from the siphon has a particularly fine carbonic acid, which in my opinion cuts a better figure in the drink. But of course this is not a must. Oh, by the way: You might have to order your orange blossom water in advance online or ask for it in a pharmacy. Preparation: First, add all ingredients except the soda water into your shaker and do a vigorous dry shake without ice (alternatively use a milk frother to froth it up a little). Then shake again vigorously with ice for about 2 minutes (or for 12 minutes according to the original recipe). Pour into your pre-chilled glass and carefully top off with soda water while simultaneously stirring gently with the bar spoon to form a voluminous froth. Buying sources: At specialized retailers or online. See above for some information on orange blossom water and vanilla extract.